As of April 1st, 2014, a collaboration between INASP and JournalTOCs will see university and research libraries in Cuba, Ethiopia, Ghana, Malwai and Tanzania gain free access to JournalTOCs Premium for 17 months. For more information, read the full press release below. 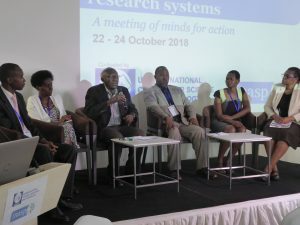 University and research libraries in developing countries are to benefit from collaboration betweenJournalTOCs and INASP. Access to JournalTOCs Premium will be provided free for eligible INASP partner consortia for 17 months from 1st April 2014, and will enable participating libraries to develop and manage effective scholarly journal current awareness services for their researchers. Based at the School of Mathematical & Computer Sciences at Heriot-Watt University, JournalTOCSPremium is a current awareness subscription service providing effective customisations to research, academic, commercial and institutional library and resource centres worldwide. It is the institutional version of JournalTOCs, the largest, free collection of subscription and Open Access journal Tables of Contents. JournalTOCS enables researchers to discover the newest scholarly papers coming directly from publishers as soon as they have been published online. It includes the latest Tables of Content from over 24,000 scholarly journals including more than 7,500 selected Open Access titles, from approximately 2,000 publishers. JournalTOCs is used by tens of thousands of individual researchers across all disciplines. 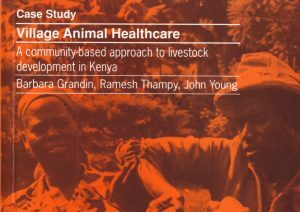 INASP is an international development charity working with a global network of partners to improve access, production and use of research information and knowledge, so that countries are equipped to solve their development challenges. INASP’s work is funded by governmental and non-governmental development agencies and philanthropic foundations, with contributions from its partner countries. The JournalTOCs Premium customisations for INASP consortia, developed as part of the EPSRC funded JEMO project, will give library users in participating libraries fast and easy discovery, alerts and access to the full-text of the most current papers published in the electronic journals to which the libraries subscribe, including (where applicable) journal content negotiated by INASP from over 40 major publishers, such as Annual Reviews, Bentham Science, Cambridge University Press, De Gruyter, Emerald, IOP, Mary Ann Liebert, Nature Publishing, Oxford University Press, Palgrave Macmillan, Sage, Springer, Taylor & Francis and Wiley. In addition, content from INASP’s Journal Online Projects (Bangladesh Journals Online, Latin America Journals Online, Mongolia Journals Online, Nepal Journals Online and Sri Lanka Journals Online) has been added to JournalTOCs and is included in the service. 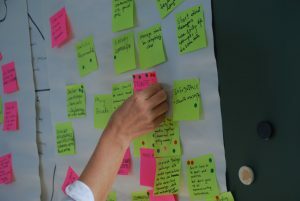 As well as gaining free access to JournalTOCs Premium, INASP and participating libraries will provide valuable feedback and help JournalTOCs in the development of consortia versions of its subscription product for institutions. The JournalTOCS / INASP collaboration is one of two parts of the JEMO project. The other part of the project will demonstrate and promote among publishers the viability and advantages of using RSS (Really Simple Syndication) for enabling the systematic discovery of Open Access articles in hybrid journals. JournalTOCs Premium is currently trusted by a diverse range of libraries and information centres across the world. In addition to academic libraries, among its customers are large pharmaceutical companies, hospital libraries, an agency of the United Nations (UN), and an aerospace research centre.